Aiming to be a Top Idol is what Ichigo Hoshimiya does, and a big chance for it comes! Somehow, Ichigo will lead a special live! The title of the live Ichigo will be "Great Ichigo Starmiya Festival" and the venue is the place where Ichigo watched for the first time the top idol "Mizuki Kanzaki"s live, "Star Rise Stadium". If this live is a big success, Ichigo might genuinely become a Top Idol! What kind of stage will this movie end up with? Songs, drama, laughs, and tears! 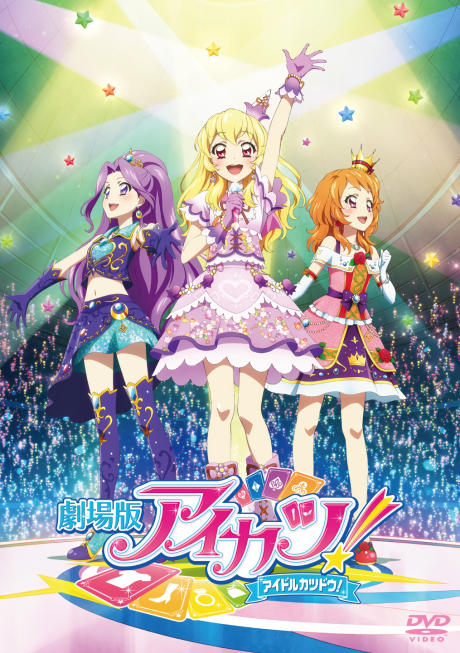 The biggest and hottest stage of Aikatsu! finally begins!